Park Triangle Corporate Plaza is a 30-floor, office building. Part of Alveo Land’s Park Triangle cluster of buildings, the project is comprised of 332 office units spread across 24-floors, 5 podium and basement parking levels, and lobby/retail on the ground floor with mezzanine. 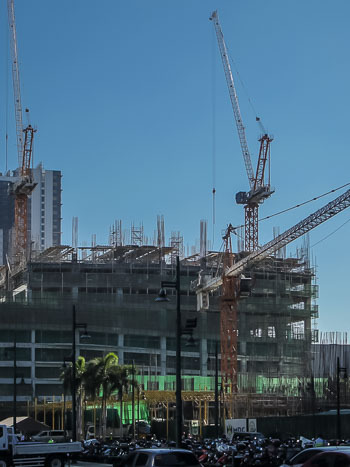 The project’s location on the corner of 32nd Street and 11th Avenue puts it on the main thoroughfare through BGC, 32nd Street, and only a few minutes away from Market! Market!, Uptown Mall, and Serendra.